With a 37-year history, IQ are widely regarded as one of the world’s most highly respected progressive rock bands. The group was formed in 1981 by guitarist Mike Holmes and keyboard player Martin Orford. 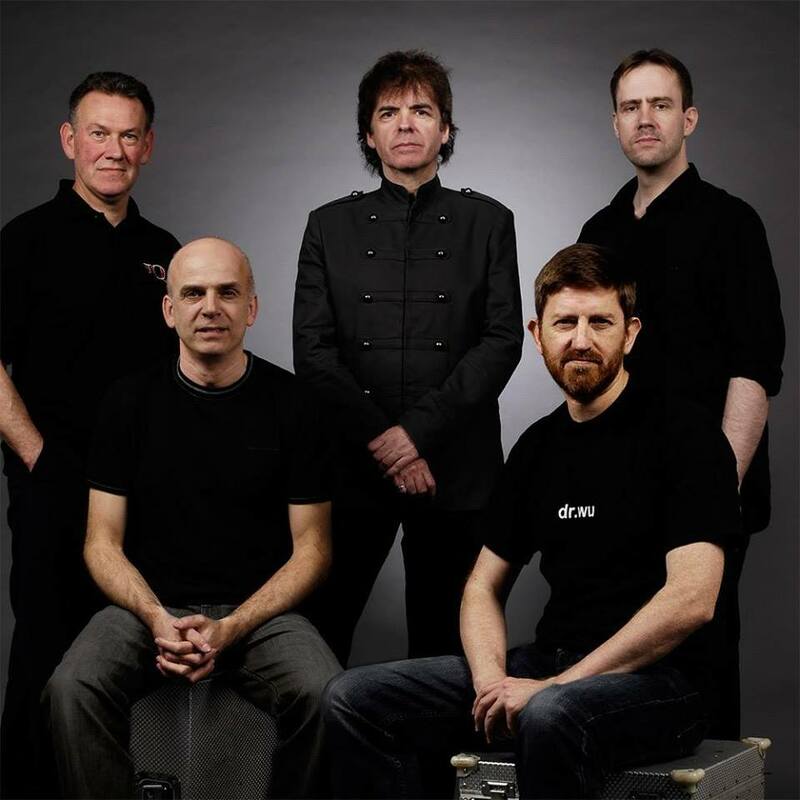 They recruited bassist Tim Esau that year, followed by vocalist Peter Nicholls and drummer Paul Cook in 1982, when they released their first cassette album ‘Seven Stories Into Eight’. Constant gigging throughout the UK led to them becoming a regular fixture at London’s legendary Marquee Club. Their first vinyl album ‘Tales From The Lush Attic’ was released in 1983, with the classic ‘The Wake’ in 1985 and the live set ‘Living Proof’ in 1986. Tensions within the band, plus a punishing live schedule, resulted in the departure of Peter Nicholls in 1985, at the end of a UK tour with Wishbone Ash. With new singer Paul Menel, the band secured a lucrative record deal with Phonogram and released studio albums ‘Nomzamo’ in 1987 and ‘Are You Sitting Comfortably?’ in 1989. Both albums were promoted by extensive European tours, with Magnum and Mike And The Mechanics. Dissatisfied with the lack of support from Phonogram, Paul Menel and Tim Esau left IQ in 1990. The remaining members recruited Les ‘Ledge’ Marshall on bass. That year, Peter Nicholls rejoined the band but tragedy struck when Les died suddenly and unexpectedly in the summer. The 1991 release of the live and rarities album ‘J’ai Pollette d’Arnu’ was a significant event, being the first release on Giant Electric Pea, a new label founded by members and associates of IQ. This year also saw the arrival of John Jowitt as the band’s new bassist. With a stable line-up once more, IQ resumed live work in the UK, Europe and North America while also writing new songs which would form the basis of ‘Ever’ (1993). The sumptuous live box set ‘Forever Live’ was released in 1996, followed in 1997 by the band’s magnum opus, the monumental double concept album ‘Subterranea’. This was supported by a completely new multi-media live presentation, featuring the album performed in full, which earned the band unanimous acclaim. In 1998, IQ re-recorded their first cassette album as ‘Seven Stories into ’98’ and released the rarities album ‘The Lost Attic’ in 1999. New studio album ‘The Seventh House’ followed in 2000, and 2002 saw the release of the ‘Subterranea: The Concert’ DVD. The release of 2004’s ‘Dark Matter’ and the ‘IQ20’ 20th Anniversary Concert DVD saw IQ back at the very top of the progressive rock tree. ‘Dark Matter’ was voted Album of the Year in countless music magazines around the world. In 2005, Paul Cook left IQ after 23 years’ service. He was replaced by Andy Edwards (ex-Robert Plant Band) who features on the 2-DVD live set ‘Stage’, filmed in the USA and Germany that year. Another line-up change followed in 2007 with the departure of Martin Orford after 26 years. The band enlisted Mark Westworth, formerly with Darwin’s Radio, and, after a short autumn tour in 2007, work continued on IQ’s ninth studio album, ‘Frequency’, released in 2009. It was a musical tour de force which received universally positive reviews. Andy Edwards’ decision to leave the band soon after led to the return of original drummer Paul Cook, and in 2010 IQ marked the 25th anniversary of their seminal album ‘The Wake’ with the release of a deluxe 4-disc collector’s box set featuring a host of previously unheard studio outtakes, demos and live tracks. The accompanying tour resulted in a live DVD of the album performed in its entirety, filmed in Holland. At the end of the year, Mark Westworth and John Jowitt both announced their departures from the group. 2011 was IQ’s 30th anniversary year. With the arrival of keyboard player Neil Durant and the welcome return of bassist Tim Esau, the band were able to celebrate this landmark in their illustrious career with four original members in the line-up. IQ performed successful live shows throughout Britain and Europe. 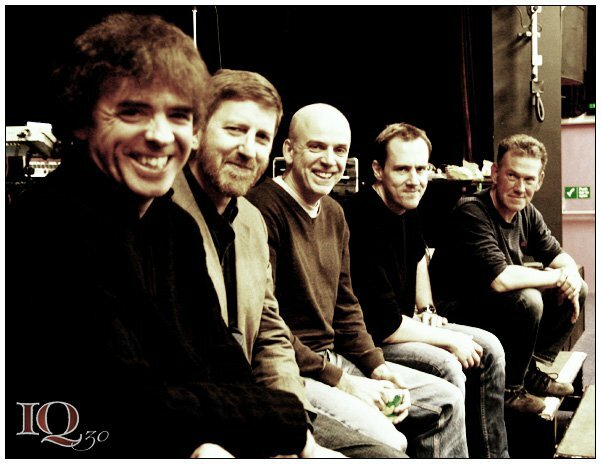 In 2012, IQ celebrated the 15th anniversary of ‘Subterranea’ by re-staging the original show in full, updated with improved technology and production values, and the following year, they set about writing material for their new album, previewing work-in-progress versions of the songs at concerts in April and December. 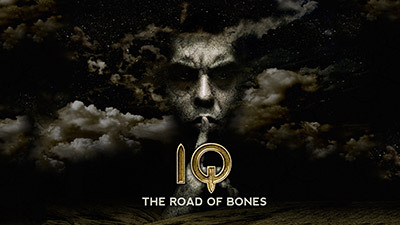 IQ released their eleventh studio album, ‘The Road Of Bones’ in 2014, supported by live performances in the UK and Europe. IQ released a new live Blu-ray, Scrape Across the Sky in 2017.